A proper universal remote has the ability to solve a multitude of problems within anyone’s living room. Used to control a television, stereo system, Blu-ray player, and whatever else someone may have plugged in, its greatest skill is how it turns a handful of various remotes into a singular device. So instead of fumbling around with six different controllers before finally getting an HDTV to boot up, a simple press of the power button on a universal remote is all that’s required to cozy up to Netflix for the evening. That’s the easy way to do it, at least. How about having some fun with your universal remote? Well, thanks to some clever DIY work from an Instructables user known as Gabrielle.Martinfortier, the tried-and-true universal controller has undergone an incredibly innovative makeover. 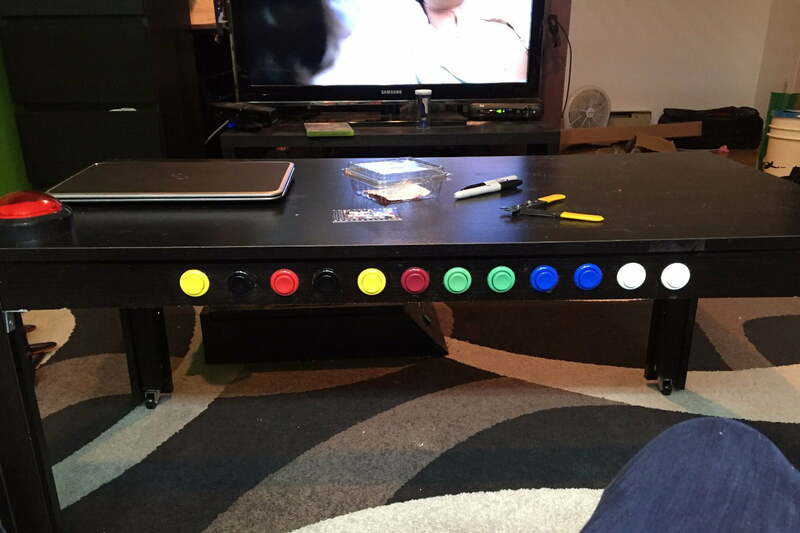 Gone is the remote itself (sort of) and in place of the handheld device is none other than a basic, four-leg coffee table outfit with a batch of colorful arcade-style buttons. Sounds crazy, sure, but who do you know with a coffee table universal TV remote? This is as original a DIY project as they come. After gathering the necessary tools and materials, it’s now time to get working on this innovative universal TV remote. Simply follow Gabrielle’s comprehensive walkthrough and before the weekend’s up, you’ll have that arcade-style coffee table remote you’ve only ever dreamed about. Happy building! The complete walkthrough for this DIY coffee table universal remote can be found at Instructables.